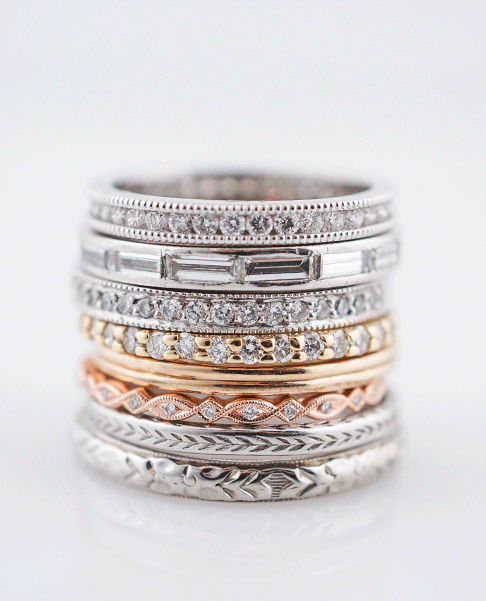 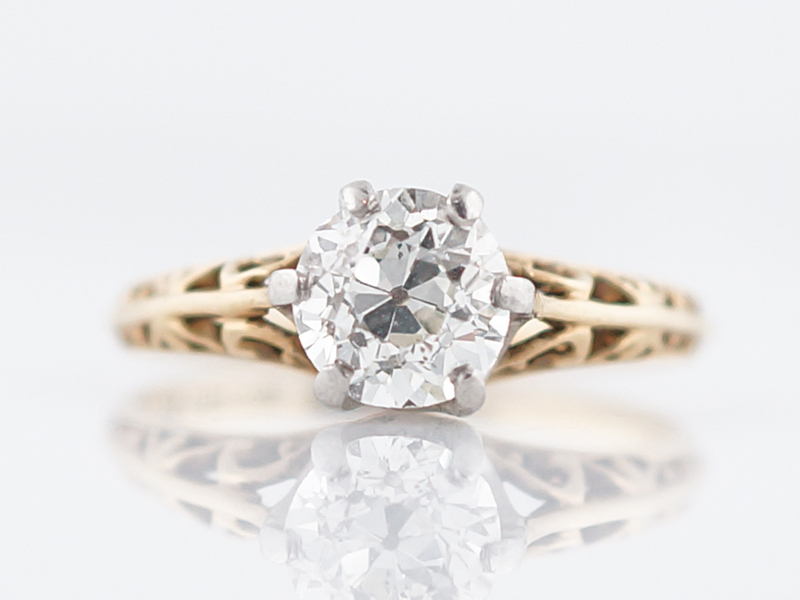 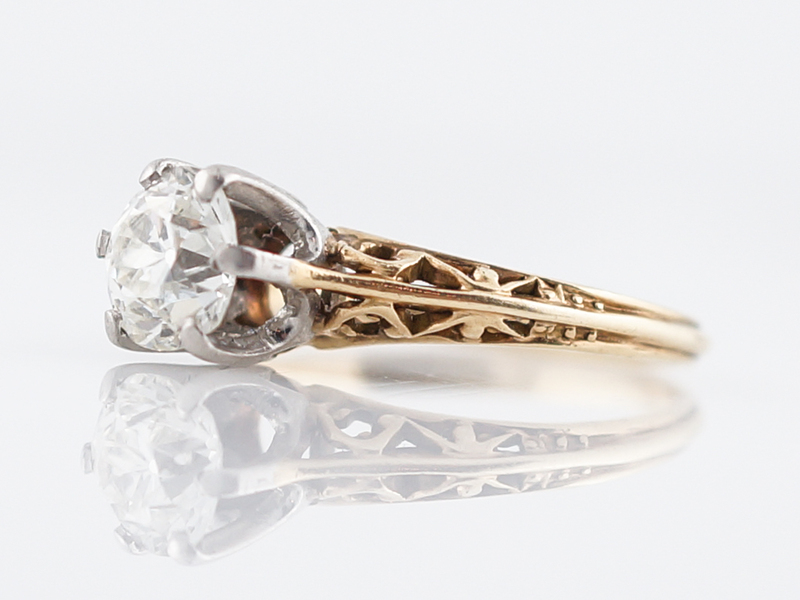 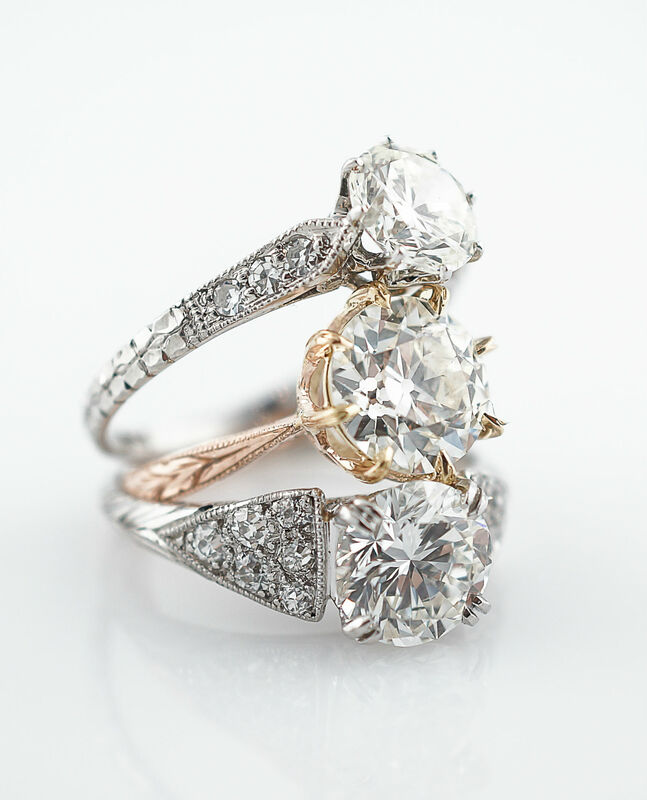 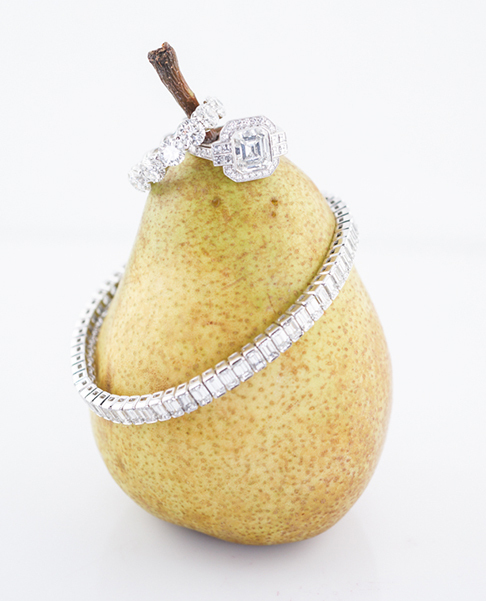 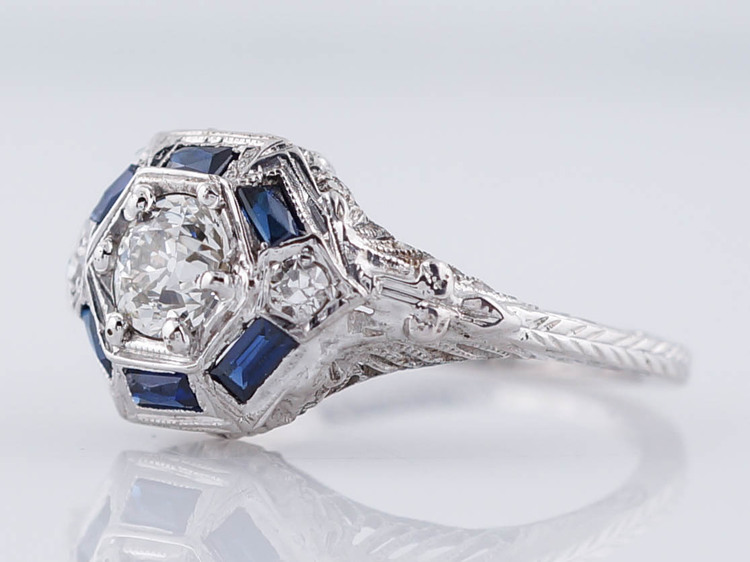 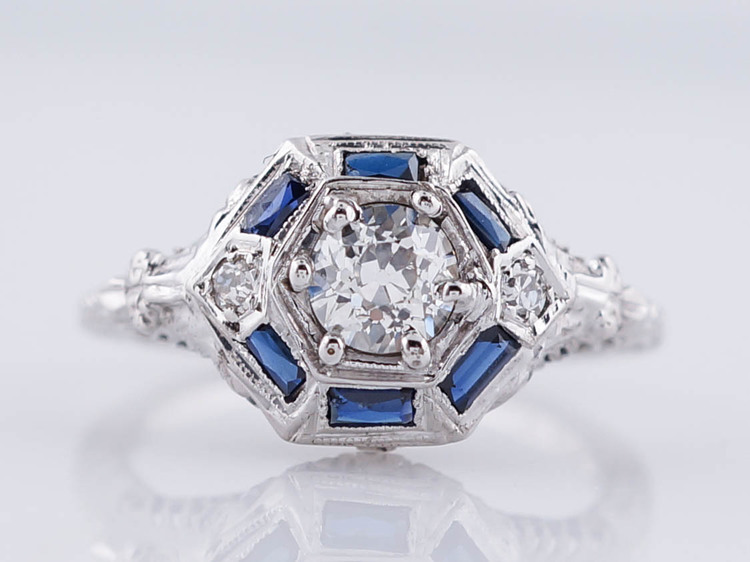 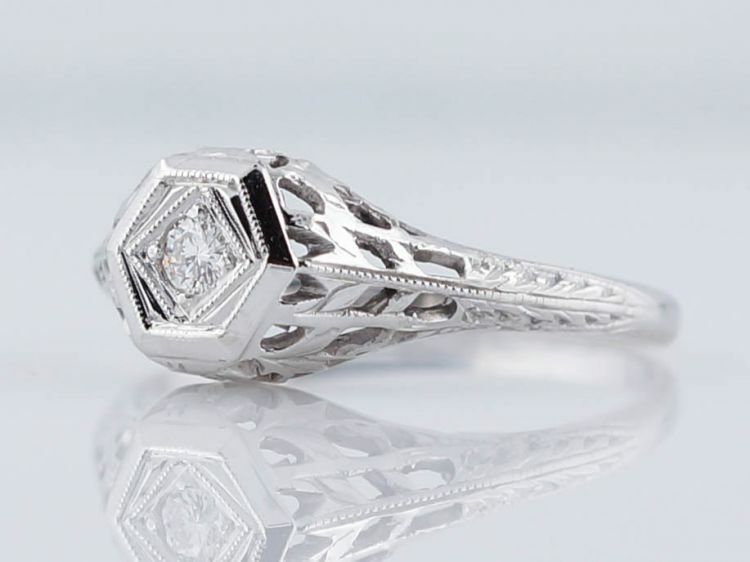 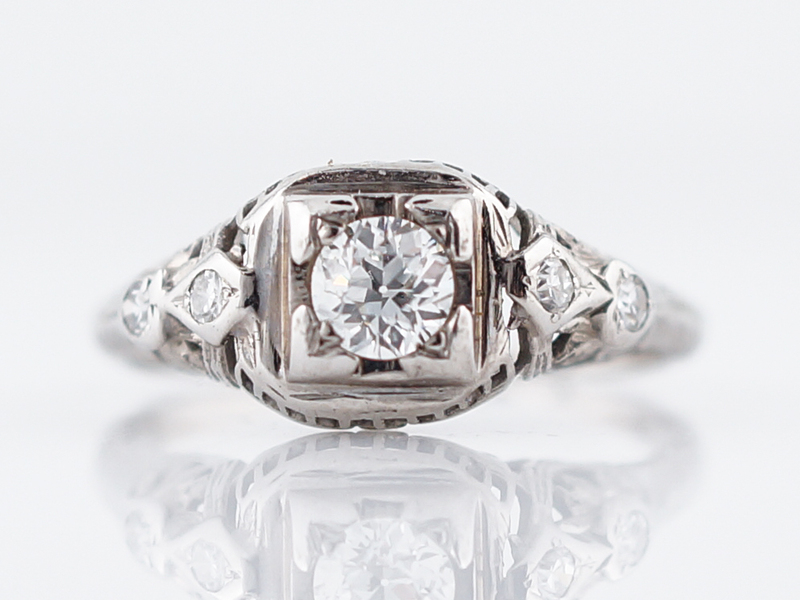 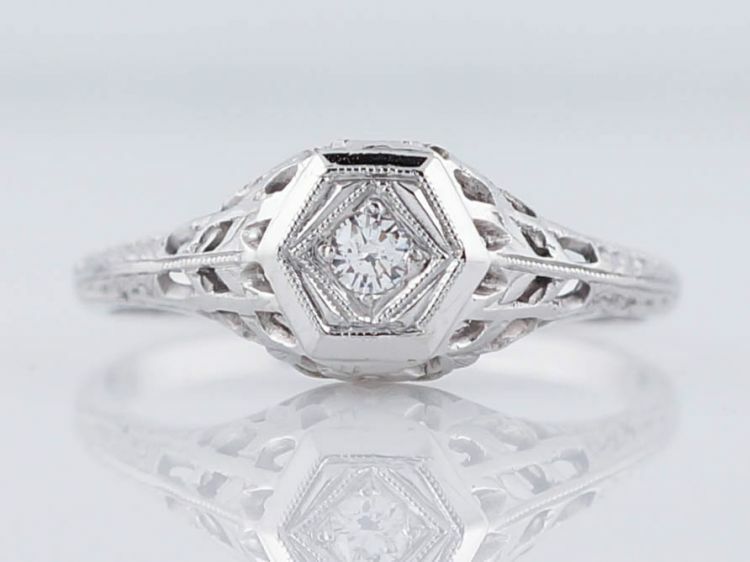 This Modern engagement ring creates a strong and lasting impression. 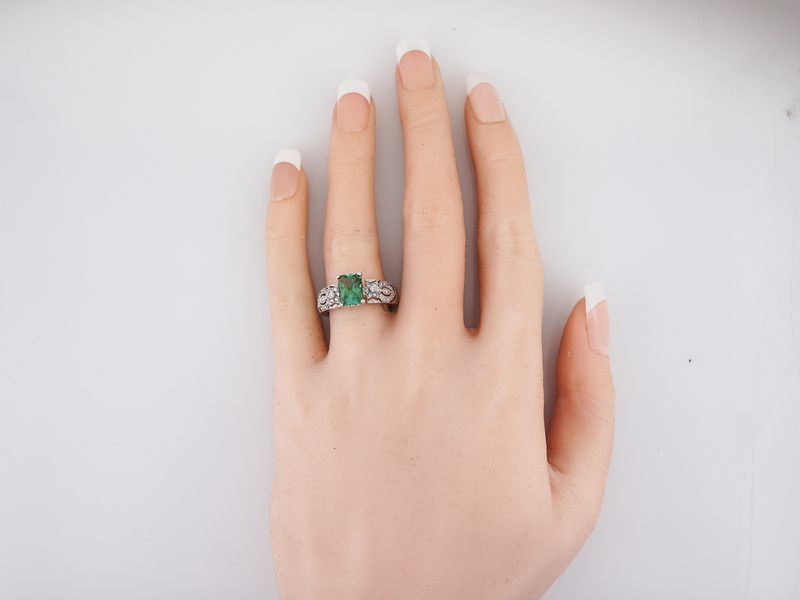 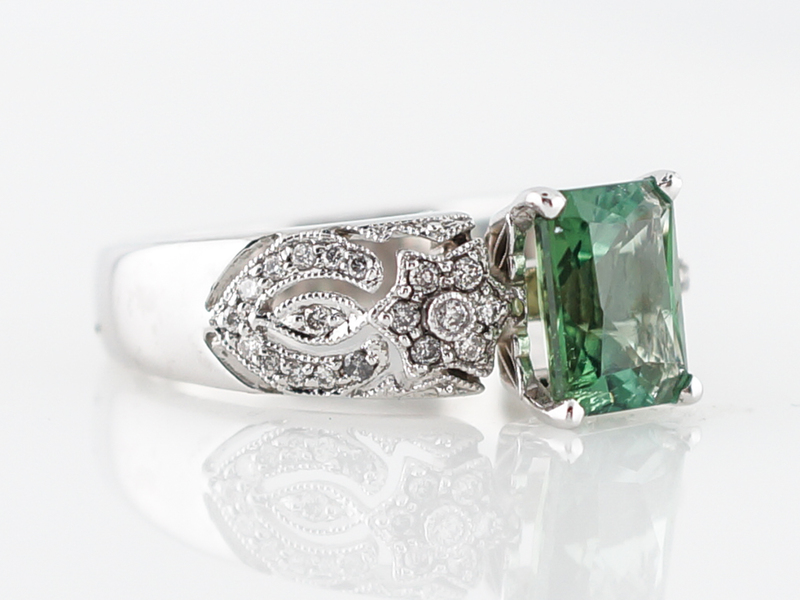 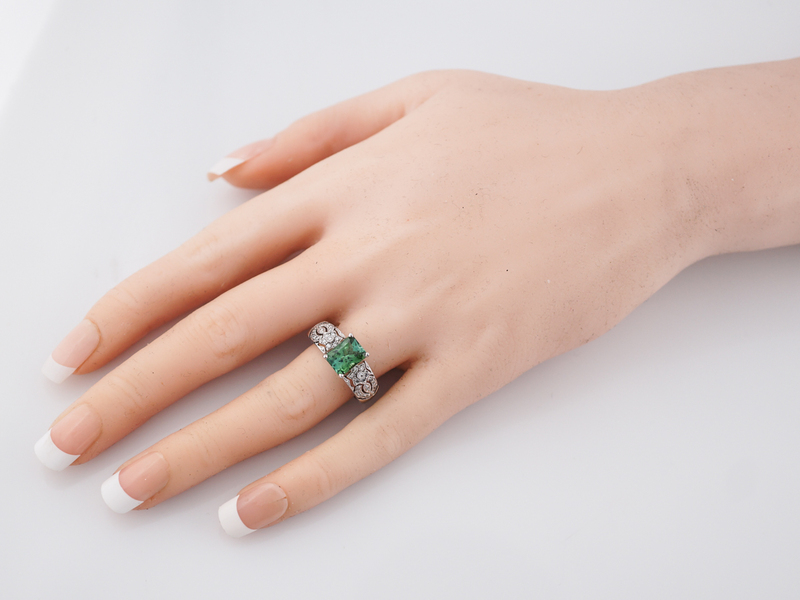 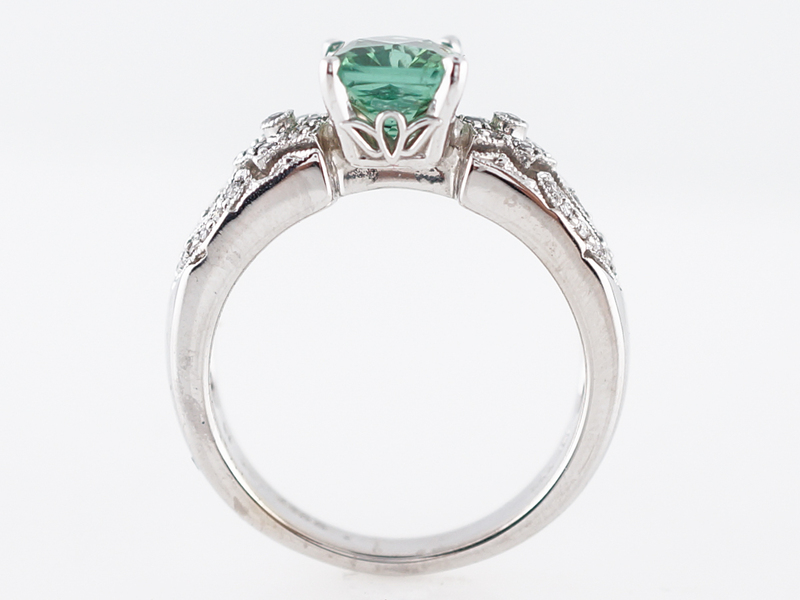 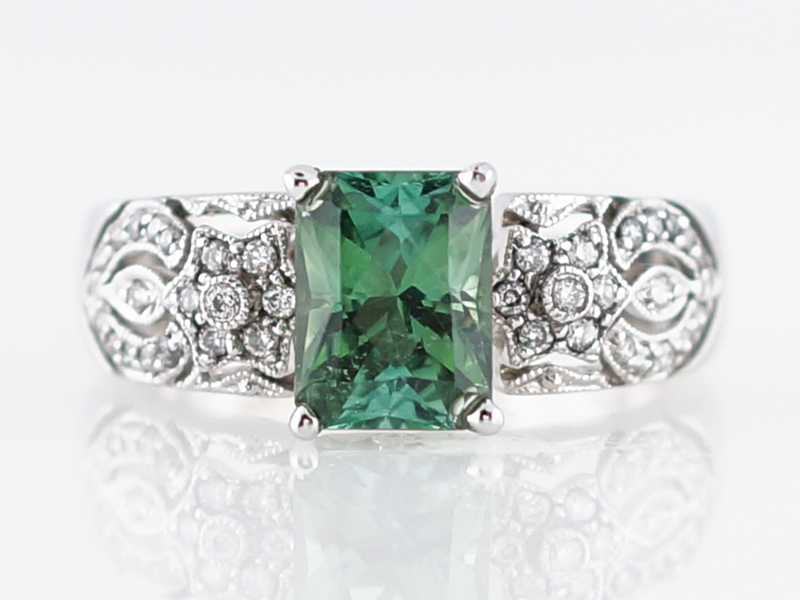 Beginning with a 1.59 carat Emerald Cut Green Tourmaline sitting prominently in a simple, four prong setting. 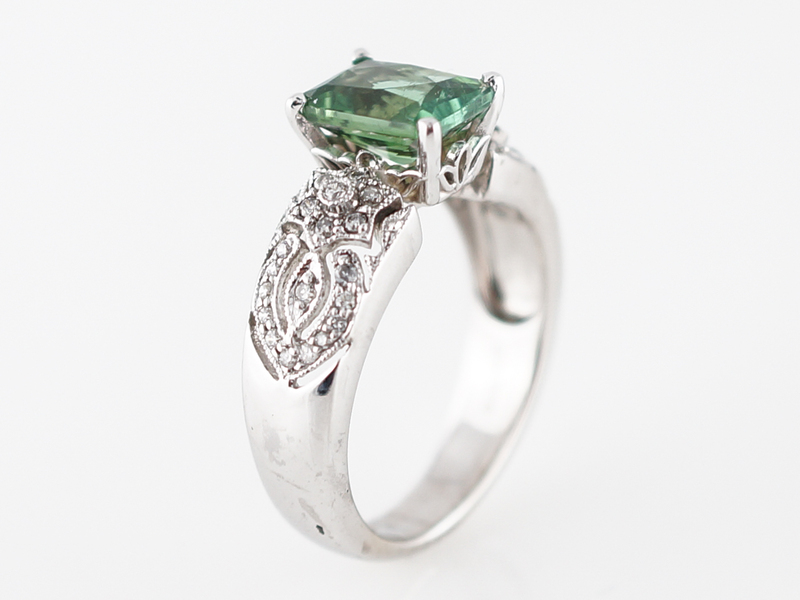 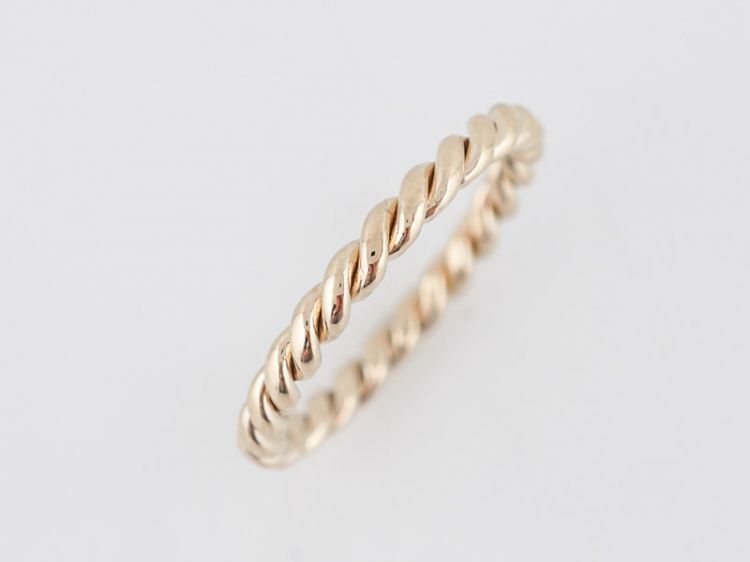 The width of the shank at the top of the ring is just about as wide as the stone creating an even, bold line. 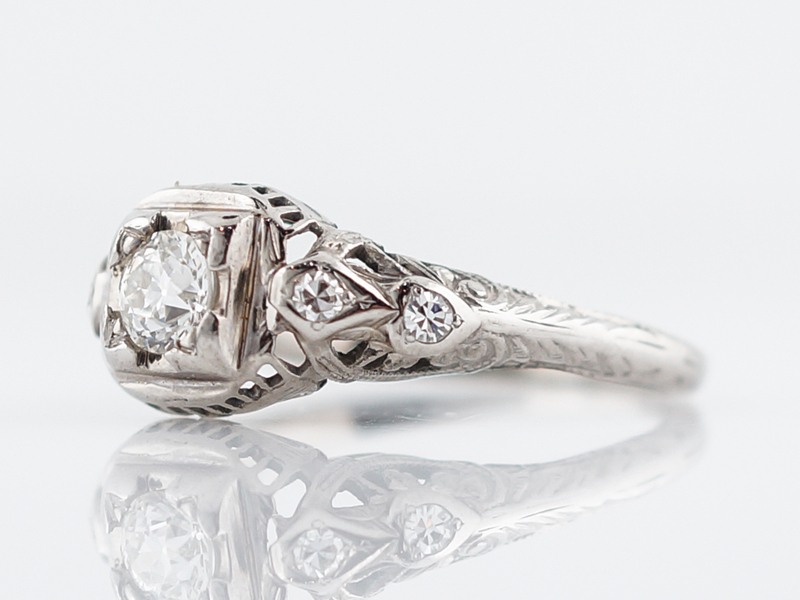 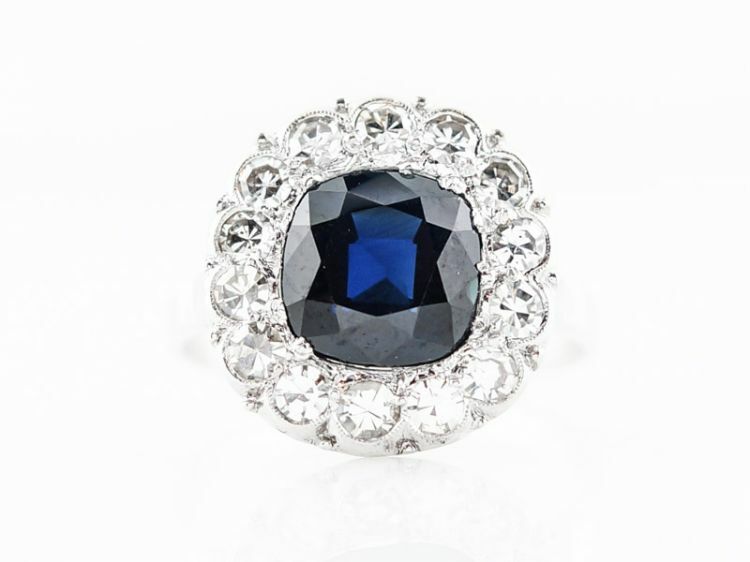 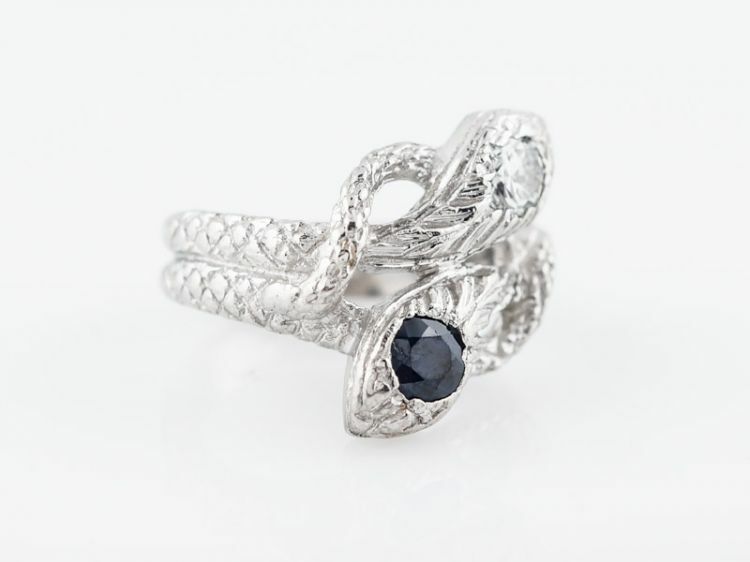 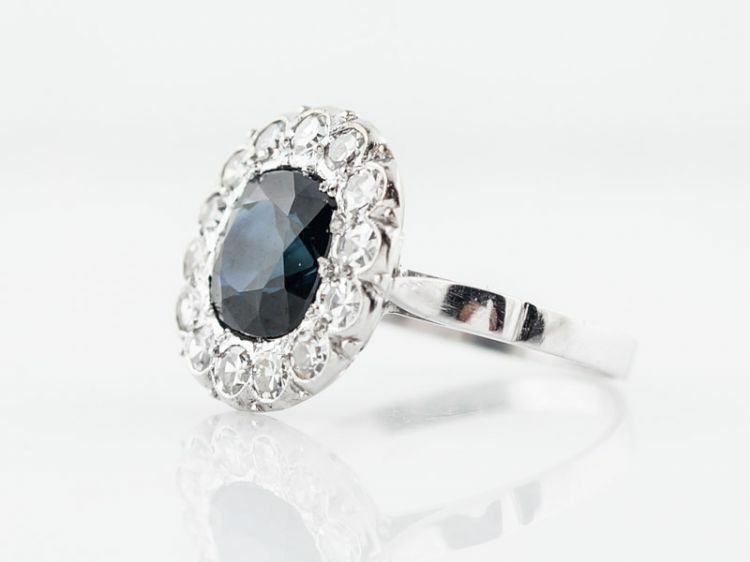 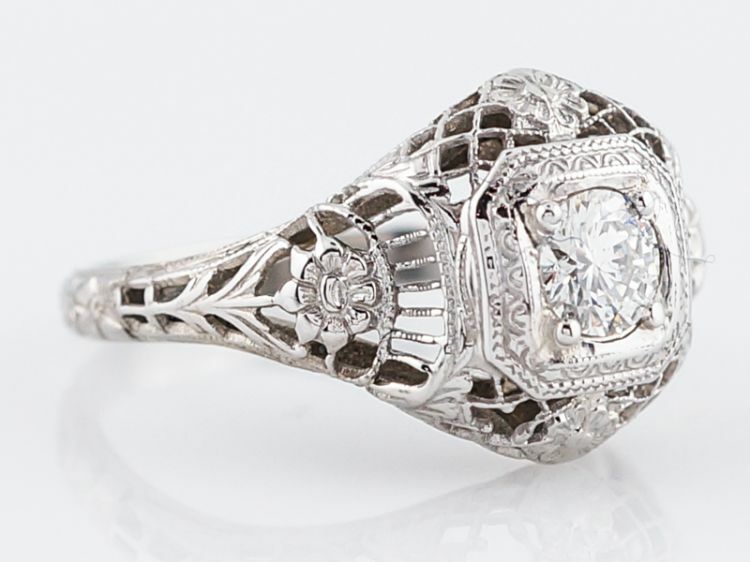 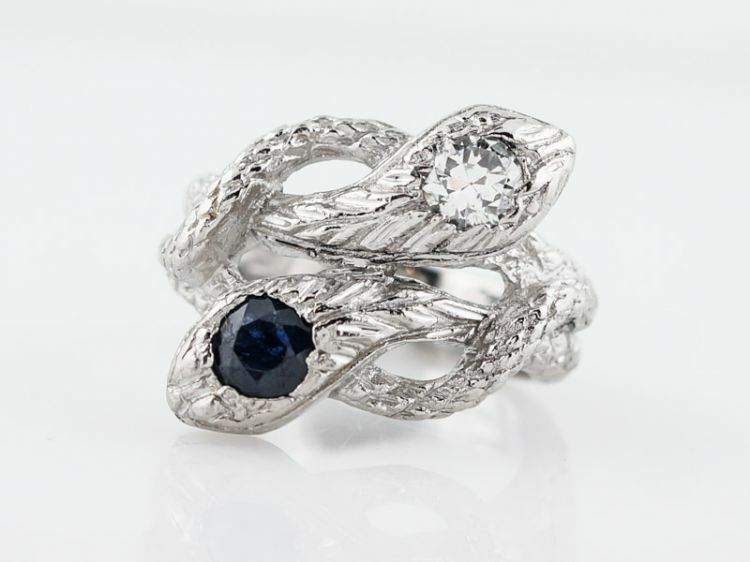 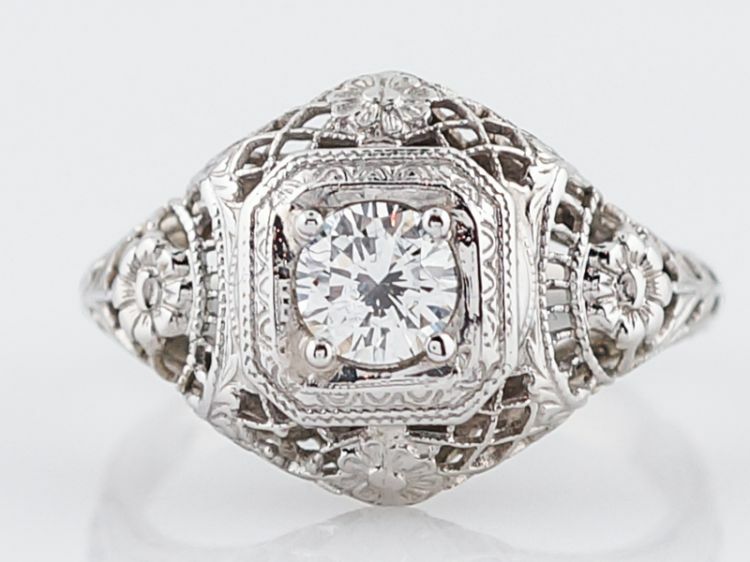 The ornate detailed metal work and accent stones enhance the eye catching appearance of this ring. 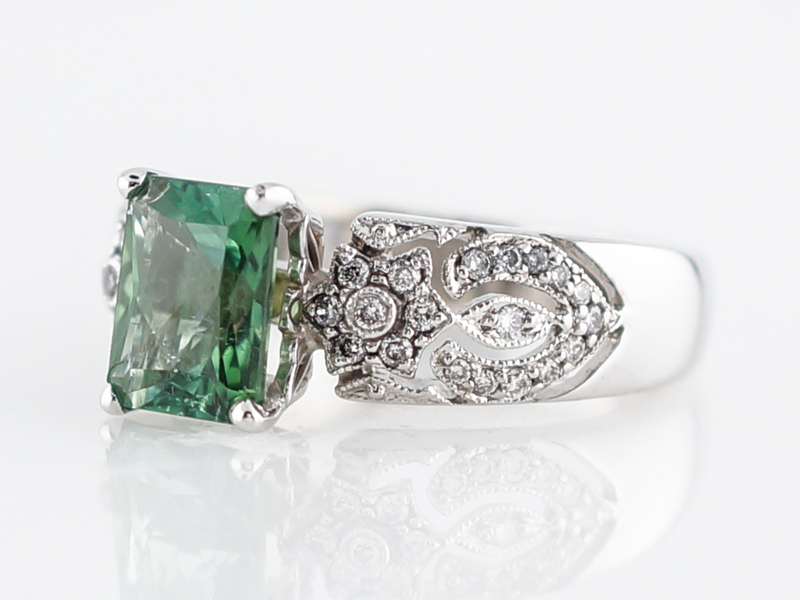 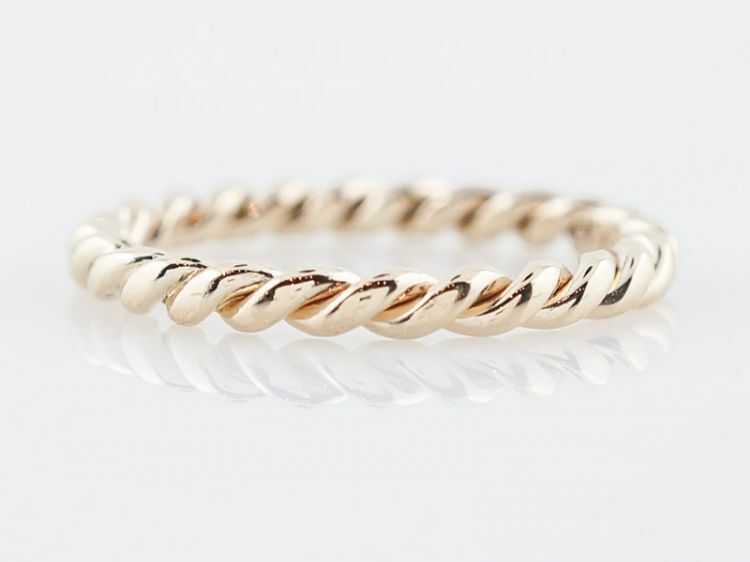 The mounting is made of 18k white gold.